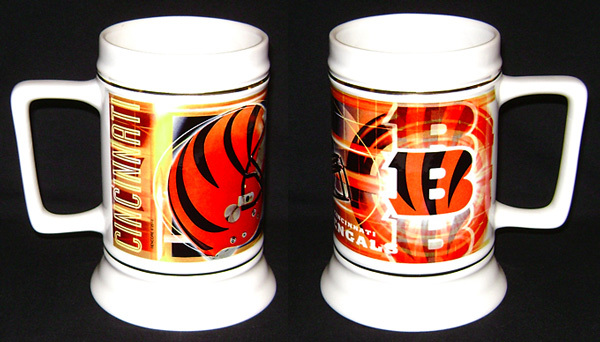 Cincinnati Bengals 28oz NFL Stein, by The Encore Group. 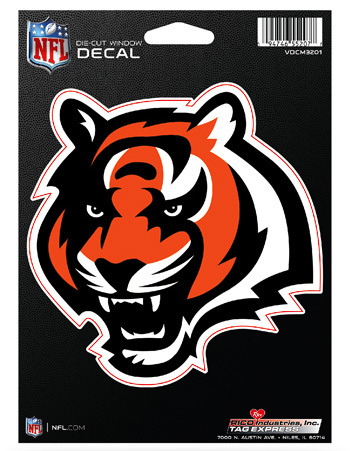 Officially licensed Cincinnati Bengals ceramic NFL stein with sublimated graphics and gold band, above and below the image. Cincinnati Bengals / Inaugural Game Paul Brown Stadium Framed and Matted Panoramic Photograph. This officially licensed NFL panorama photo is of the Cincinnati Bengals (Inaugural Game) at Paul Brown Stadium in Cincinnati, Ohio, on September 10, 2000. 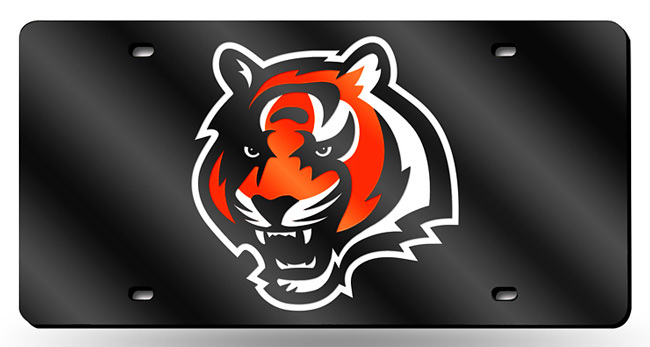 The Cincinnati Bengals played the Cleveland Browns. The deluxe panorama features black double matting and your choice of black or cherry frame, with a 1" x 4" engraved brass nameplate. Actual size is 40" x 14"